Despite being the inaugural show in the small-screen wing of the Marvel Cinematic Universe, Daredevil has been overshadowed by the far more compelling Jessica Jones and Luke Cage. Yes, all three shows suffer from the “so much time, not enough story” issues that continue to plague Marvel series, but Daredevil has already had a second chance, i.e., a second season, to course correct—and it didn’t. Season-two showrunners Douglas Petrie and Marco Ramirez have since departed (though they didn’t go far), which has left the third season awfully up in the air, despite Netflix’s announcement that it was moving forward. But the third season now appears to be back on track, as Deadline reports that Daredevil has nabbed a new showrunner and a returning star. Erik Oleson, late of Arrow and Man In The High Castle, has signed on to oversee Matt Murdock’s (Charlie Cox) post-Elektra world. 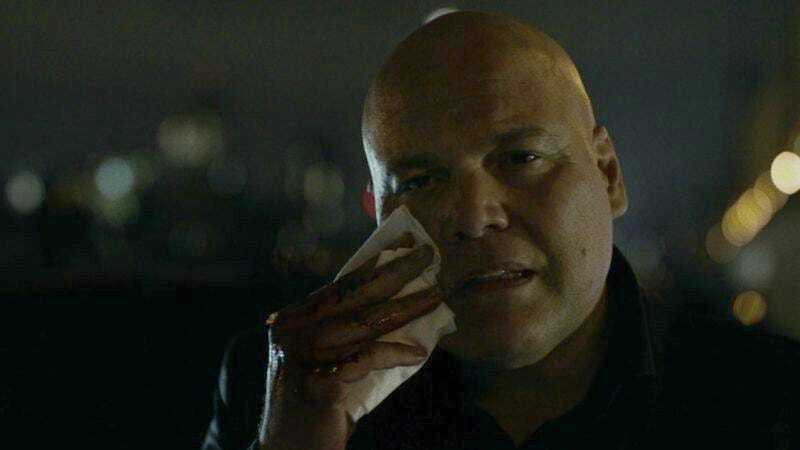 And Vincent D’Onofrio, who played Wilson Fisk in the first season and a season-two cameo, will return to the show. There’s no word yet on a production or launch date, but The Punisher spin-off is rarin’ to go next month.